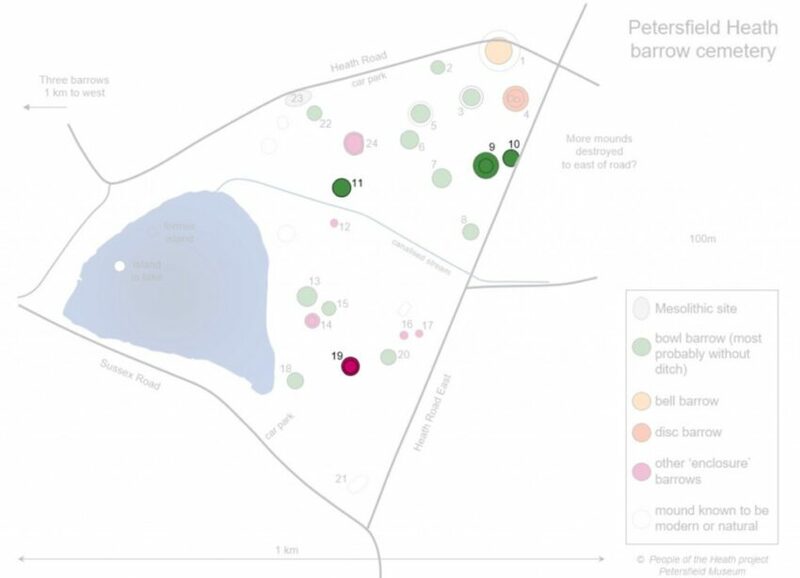 Written scheme of investigation setting out the methodology to be followed in carrying out the archaeological excavation of barrows 9, 10, 11 and 19 on Petersfield Heath. It is proposed to excavate single trenches into barrows 9, 10 & 19 in order to create complete or substantial profiles of each barrow’s form and recover structural and palaeo-environmental data. Also proposed is to re-open and extend a previously excavated trench into barrow 11 in order to complete the excavation of a presumed burial. Download full WSI for barrows 9, 10, 11 and 19.